It’s 2018, which means California’s youngest group of boaters should be first in line to take an approved boating safety course and get their California Boater Card. California boaters 20 years of age and younger will be required to carry a valid California Boater Card while operating on state waterways. If you operate a motorized vessel in California, you’re probably aware of the new legislation mandating boater safety education. But whether this is the first you’ve heard of the new requirement or you’ve been eagerly waiting for card applications to open, it’s time for you to get educated before you get on the water! 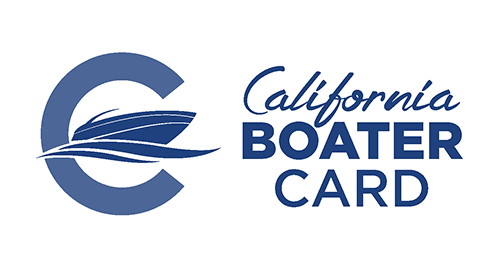 Although the California Boater Card will be mandatory for boaters 20 years of age and younger this year, on January 1 of each of the next seven years, the education requirement will expand to include boaters in progressively older age brackets. By 2025, all persons who operate any motorized vessel on state waterways will be required to carry the card. For boaters who passed an approved course prior to the Jan. 1, 2018 start date, DBW will accept proof of passing courses taken between Jan. 1, 2015 and Dec. 31, 2017. Persons who have passed an approved examination during this timeframe will have until Dec. 31, 2018 to apply for their California Boater Card to receive the “grandfathering” exemption regardless of their age. Older courses will not be accepted since they may not include recent state or national changes to navigation law. The card will cost $10 and is valid for the boater’s lifetime. Boaters can apply for their card online and can find a list of approved boater education courses at www.CaliforniaBoaterCard.com, two of which are currently free to take. Boating safety course providers must be approved by the state of California, as well as by the National Association of State Boating Law Administrators. Courses may be classroom, home study, online or on the water. Senate Bill 941, signed into law by Governor Edmund G. Brown, Jr. in 2014, adds California as one of 49 states or territories that require some type of boater education. As part of the implementation process, DBW is circulating regulations concurrently with boater education and outreach efforts. The public will have an opportunity to review and comment on the CBC Program regulations in early 2018. DBW soon will post information regarding the program regulations. It is DBW’s mission to provide safe and convenient public access to California’s waterways and leadership in promoting safe, enjoyable and environmentally sound recreational boating. The new California Boater Card program promotes a safer experience for everyone on the water. DBW encourages all boaters, regardless of age, to take a boating safety course and apply for their California Boater Card.